Mottowasabi is a Helsinki-based creative office. Playful yet comfortable Tundra sofa is inspired by the lanscape of Lapland. Coming soon! 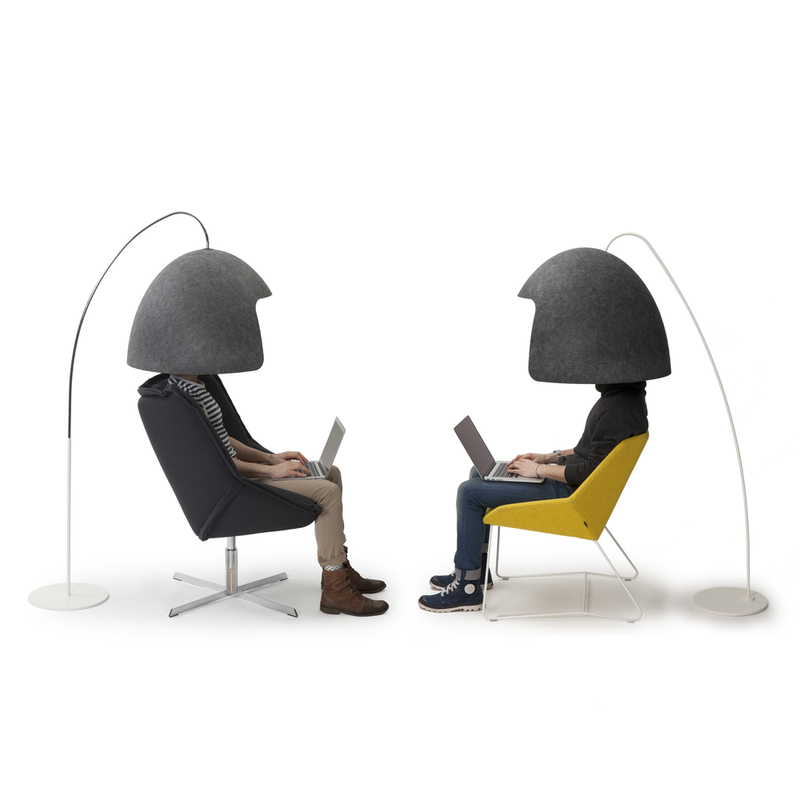 Tomoko is a sheltering, acoustic piece of office furniture for privacy and concentration in open-plan offices and other open spaces. Tomoko helps you to create an immediate territory of your own by eliminating elements that interfere with your concentration, such as noise or visual distractions. Beagle lamp is a laid-back mood creator that can be positioned for either horizontal or vertical lighting. 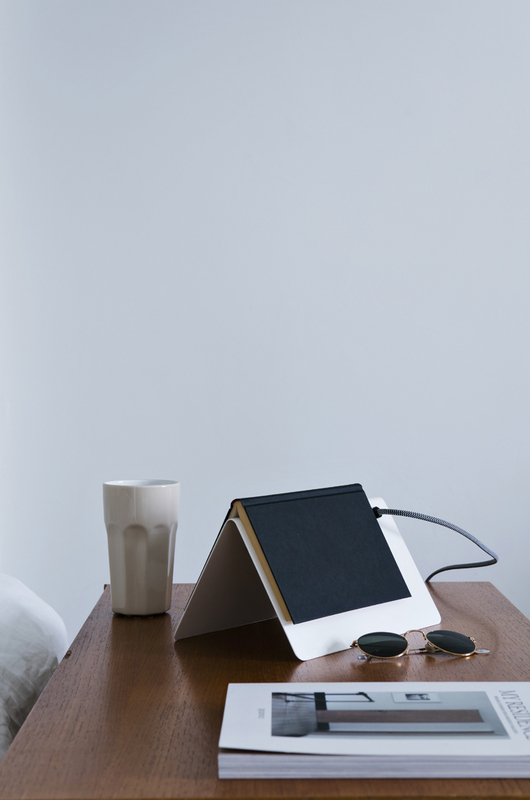 It's streamlined and simple and can be used as a shelf, floor or desktop lamp. A couch designed for lobbies, vestibules, libraries and restaurants, takes a two-dimensional rug and creates a multi-dimensional item with a completely new function. It brings together the wall and the floor in a festive yet warm appearance. 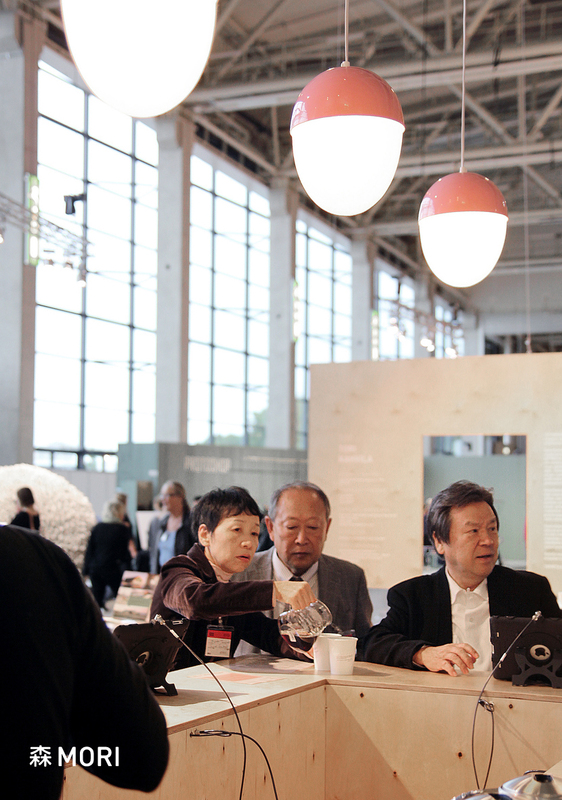 The Wall can be adapted to the customer’s needs endlessly in terms of dimensions and appearance. The Wall gives the traditional rug a modern sound-damping touch and can be used as a lone standing couch or - for instance - as a module extending along an entire wall. 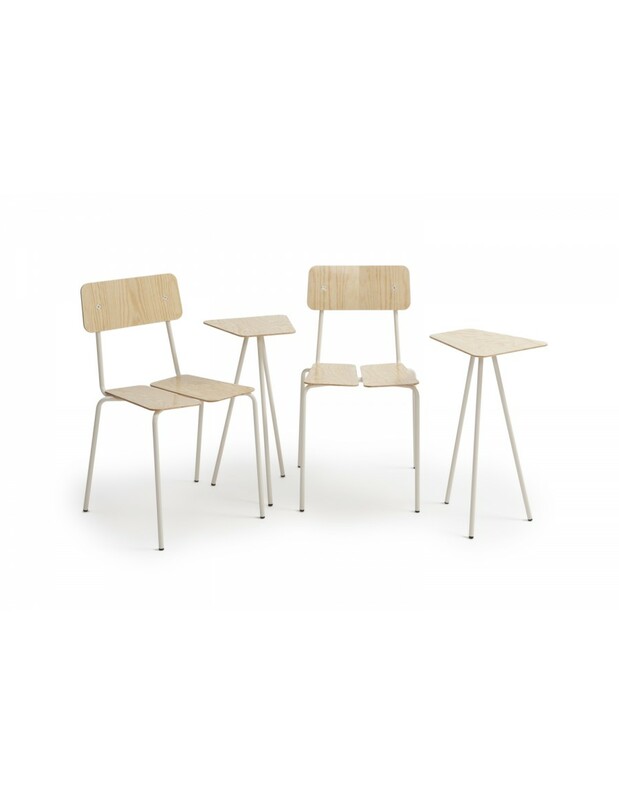 Caesar is a simple, light and airy chair for a wide range of purposes. With the relaxed but strong form language showing all the playfulness and asymmetry, Caesar chairs - even in large groups - will give public spaces personality and rhythm. 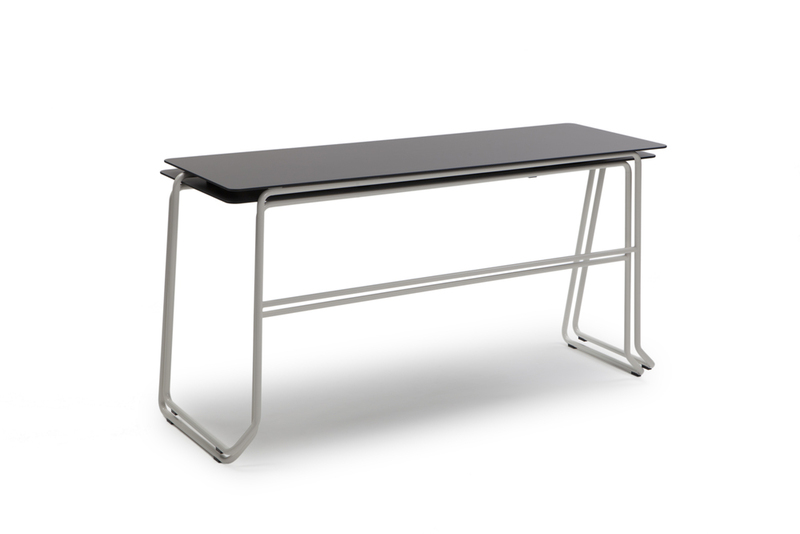 Caesar tables are perfect for school and other learning environments. 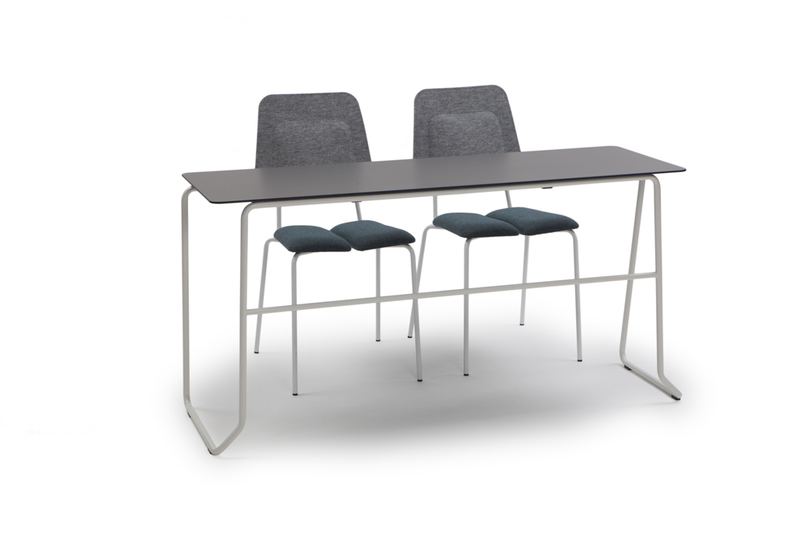 Lecture room tables are stackable and available with row connection and front panel (recyclable polyester felt). Inari is a sofa & armchair range where cushion-like seats and backs are at varying levels for a variety of sitting experiences. 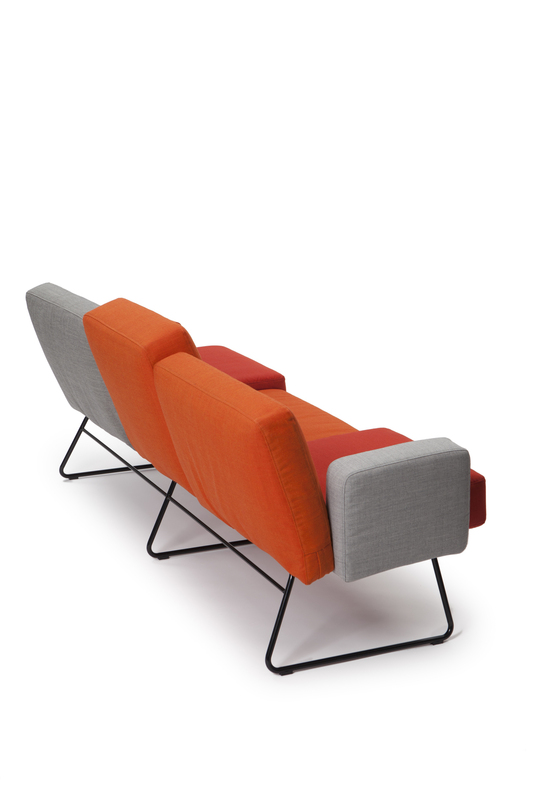 The polyrhythmic look of the seats and backs can be highlighted with different colour combinations. 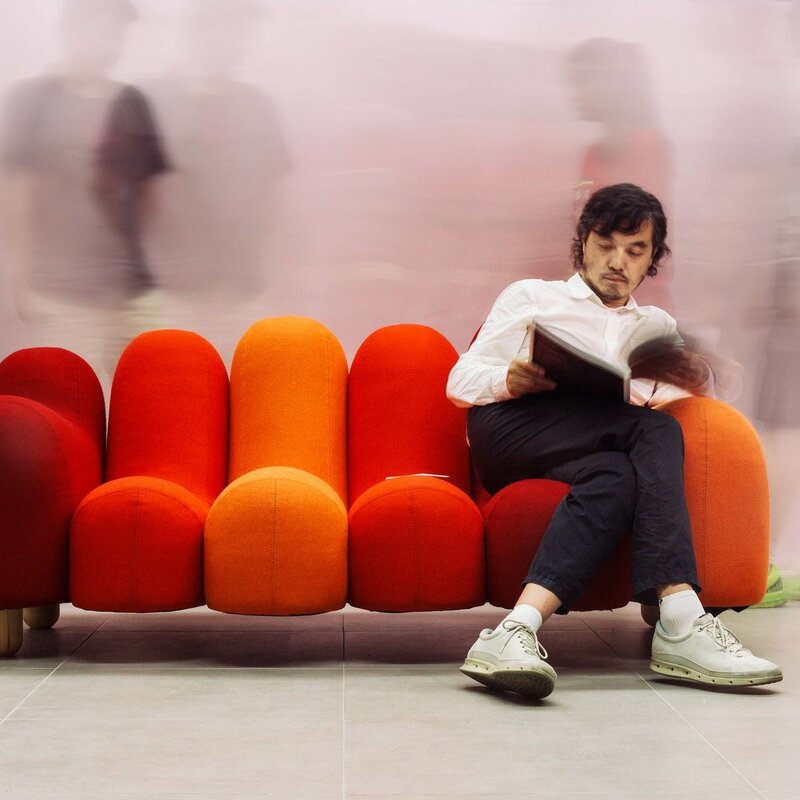 Inari bench's cushion-like seats are at varying levels for a variety of sitting experiences. 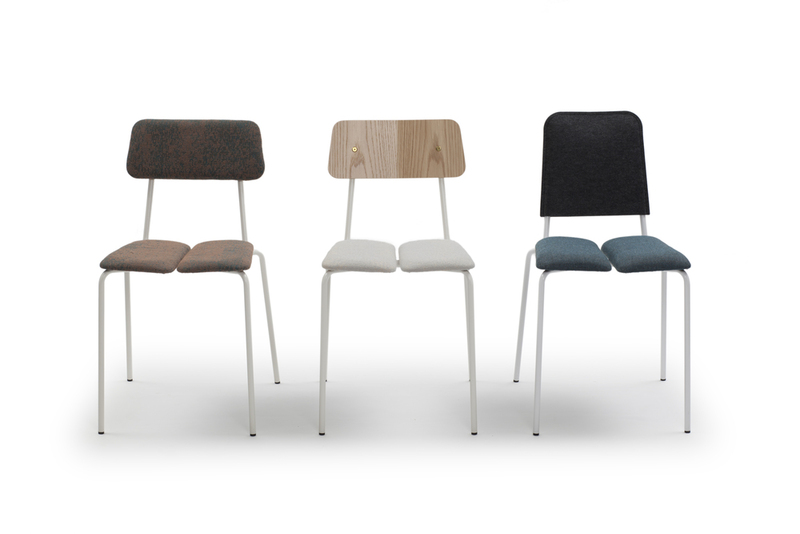 The polyrhythmic look of the seats and backs can be highlighted with different colour combinations. The roots of Finnish design are in practical design for everyday life and thus very close to the idea of folk craft developed by Shoya Yoshida in Tottori area, Japan. The aim of this project has been to find new uses and interpretations for the traditional materials and techniques of the area with the help of Finnish designers (Klaus Aalto, Saana Sipilä & Mottowasabi). ✂︎ Chizu Agriculture and Forestry Senior High School / Kobo Yumihama / Kokuzoyaki / Taniguchi Aoya Washi Co., Ltd.
Lloyd coffee table integrates classic & simple forms, natural materials and colour combinations, which give it its affluent and dignified nature. 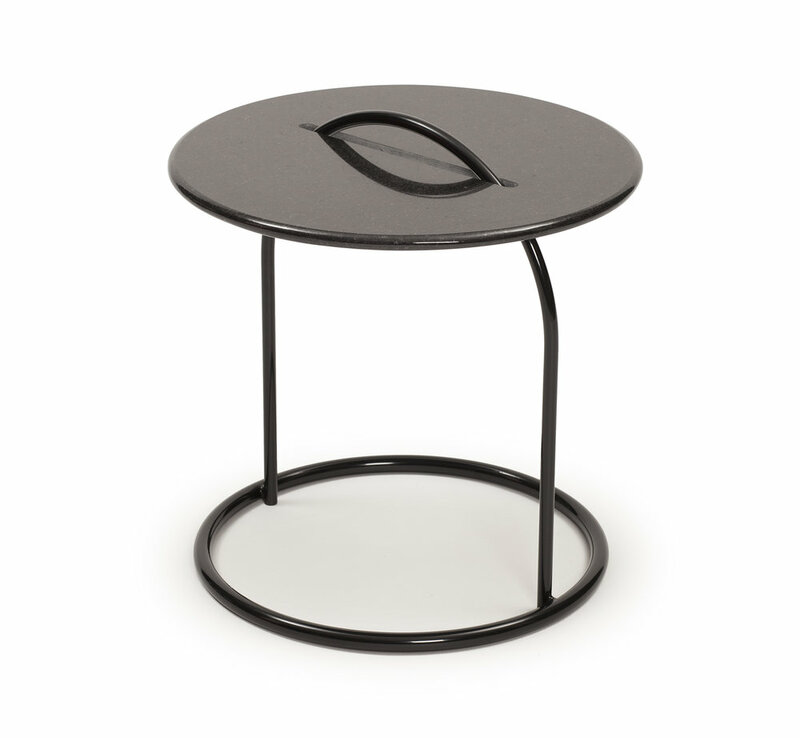 Thanks to its handle the coffee table can be easily moved and used in groups of several tables, for instance in lobbies and coffee shops. 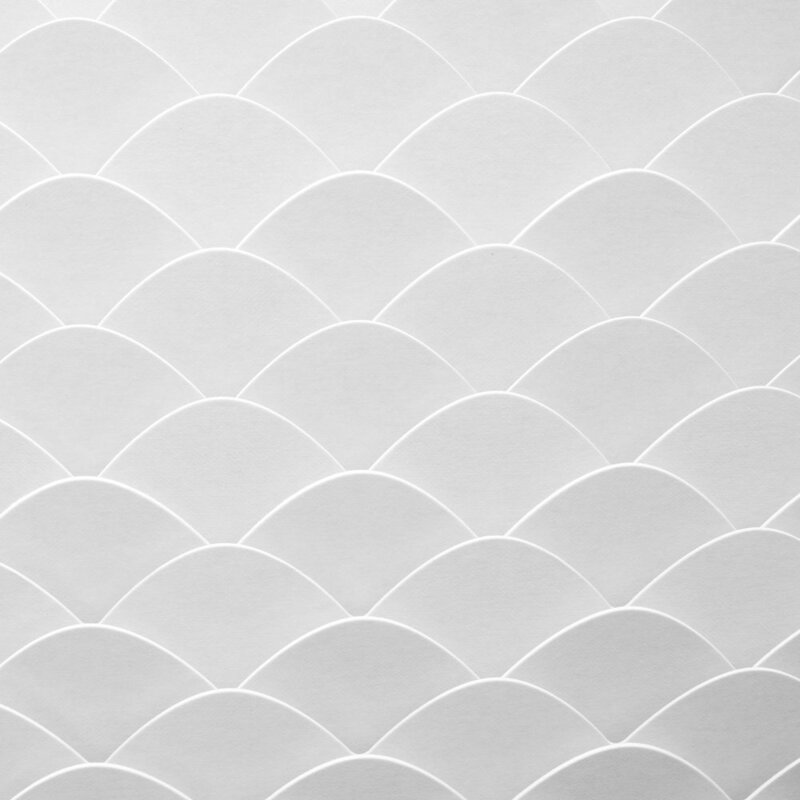 Pisara is a reversible paper yarn and cotton rug available in many size and colour options. Colours are inverted on the reverse. 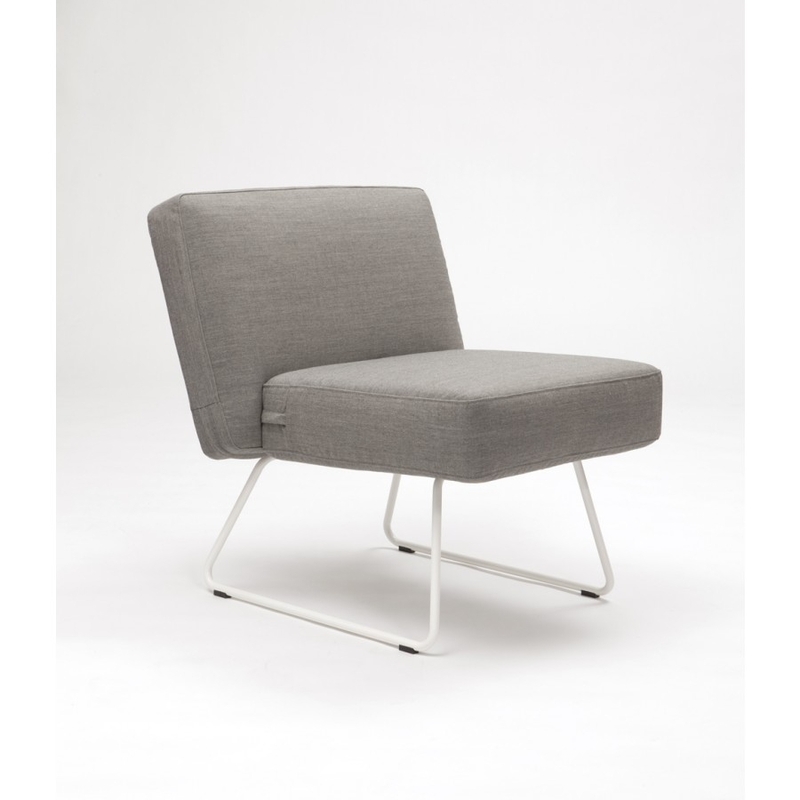 Nunna lounge chair offers a privacy and reduces distractions from the surrounding noices. Coming soon! Päre is a cheerful magazine, storage & mail rack and a beautiful acoustic wall. 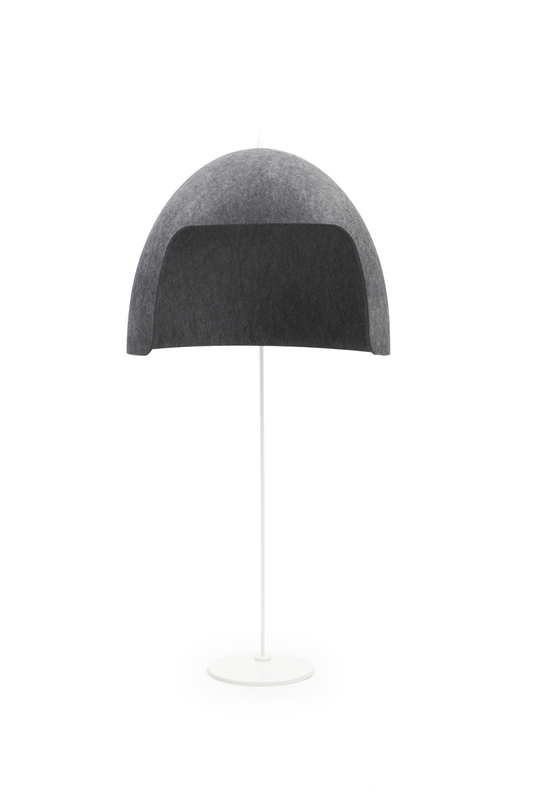 Päre is manufactured from 100 % recyclable polyester felt and comes in various colours and shapes. 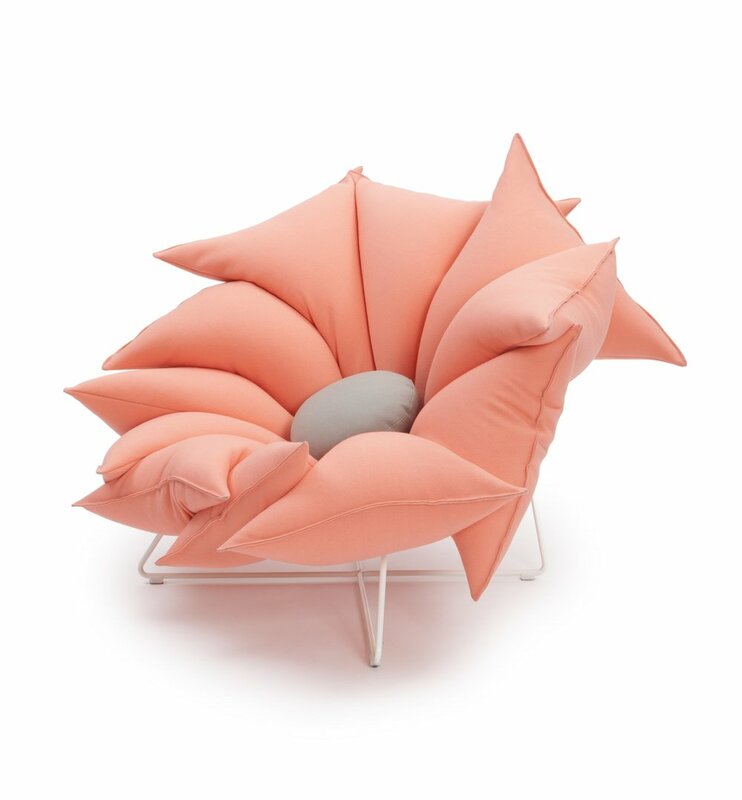 Blom chair and sofa resemble flowers bursting into bloom. Various pattern and colour mixing possibilities with upholstery textiles. The great indoors. 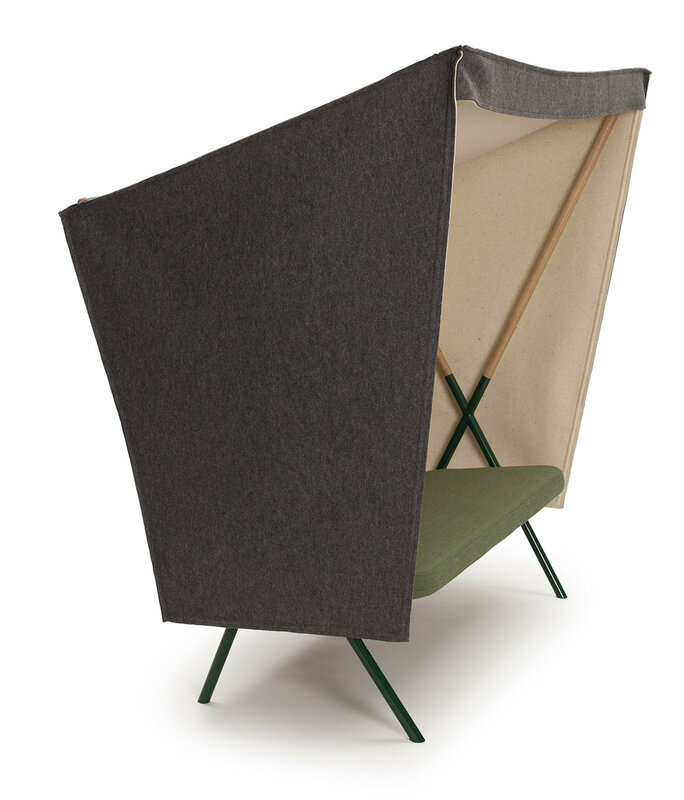 Sofa's design got its inspiration from a shelter, a garden swing, and a tent. 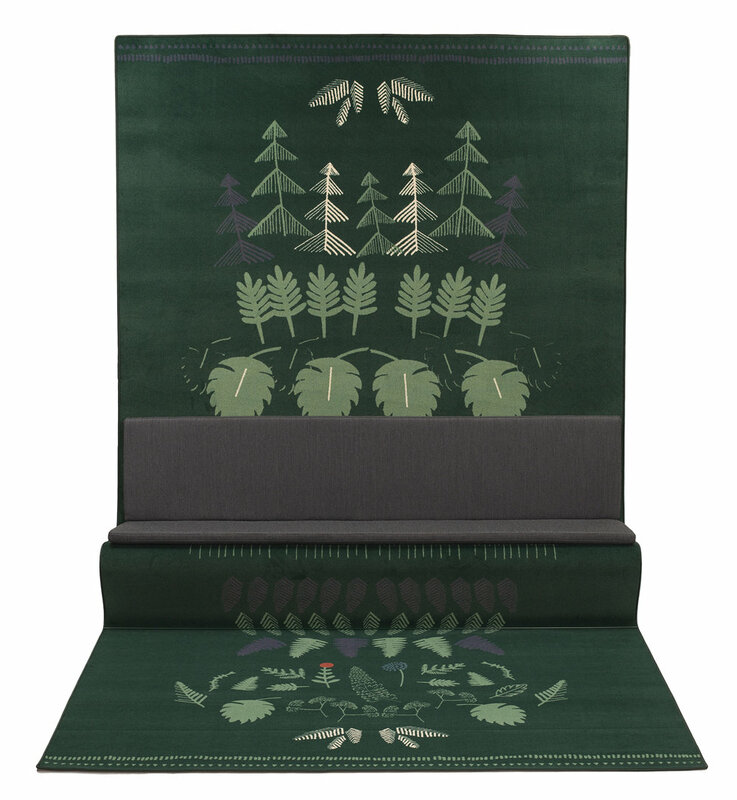 Laavu conveys an authentic atmosphere of a forest hike and at the same time brings tranquility into a regular work day – in a new way. 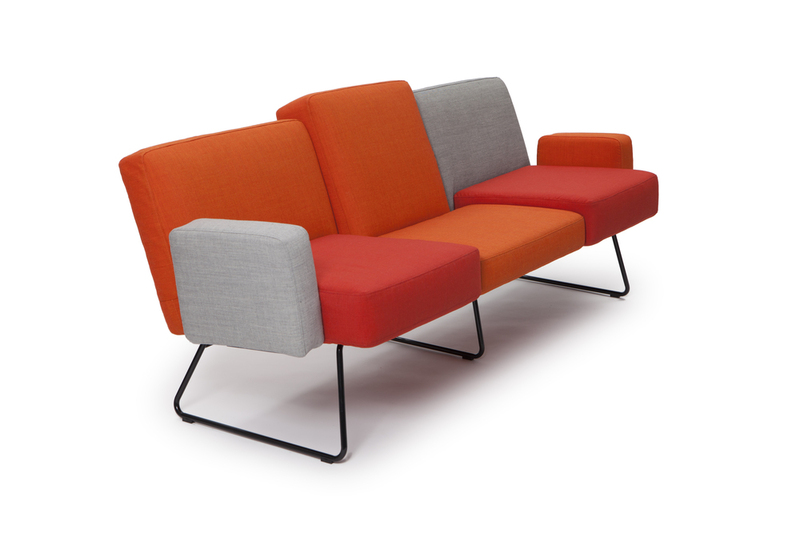 Laavu sofa is designed for open-plan offices, lobbies and restaurants. It gives a room a rhythm and creates a sheltered and acoustic area for the user. Laavu offers a space suited for chatting, negotiations, focusing, resting as well as for recreation. 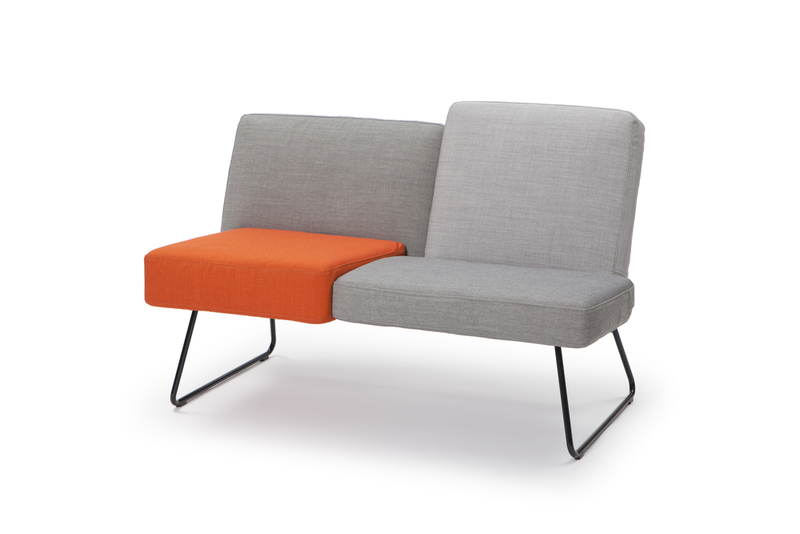 Caesar armchair offers more relaxed yet playful option for lounge and meeting areas. 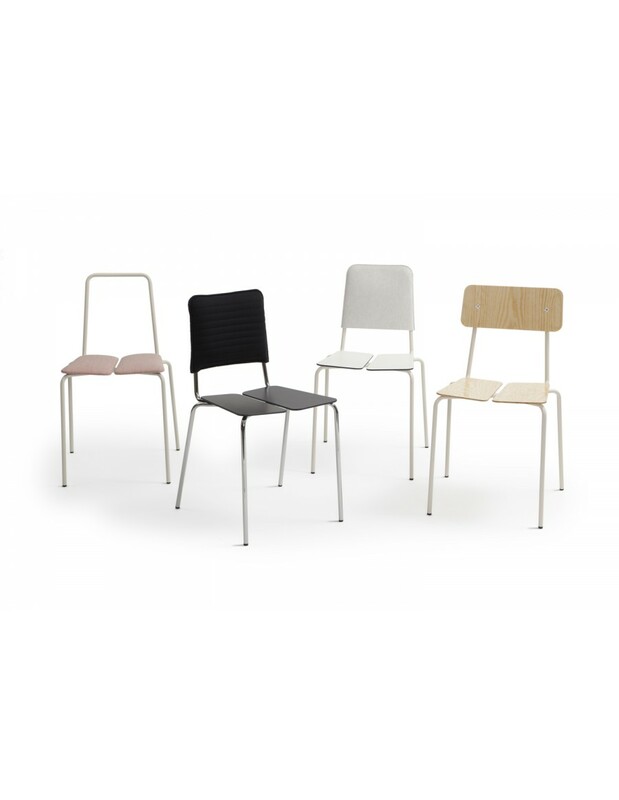 Stackable chairs are available either uncovered, seat & back covered or with seat only covered. 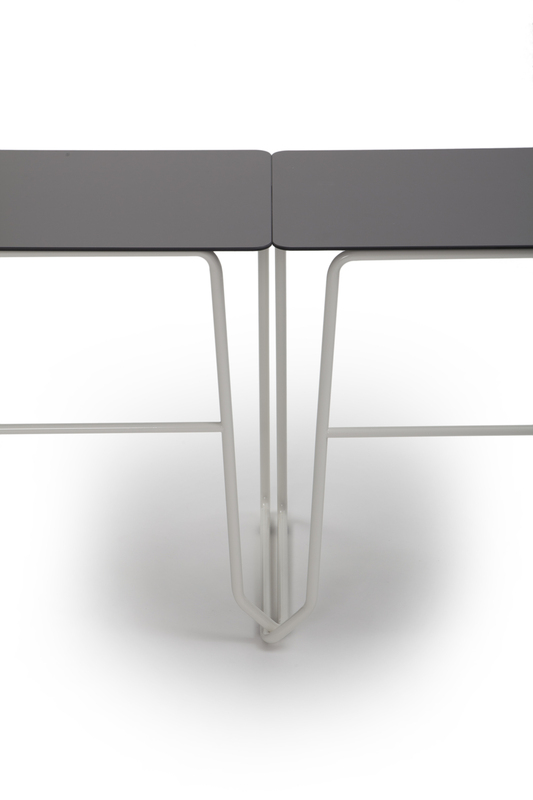 Caesar mini table is great for lobbies & learning environments. 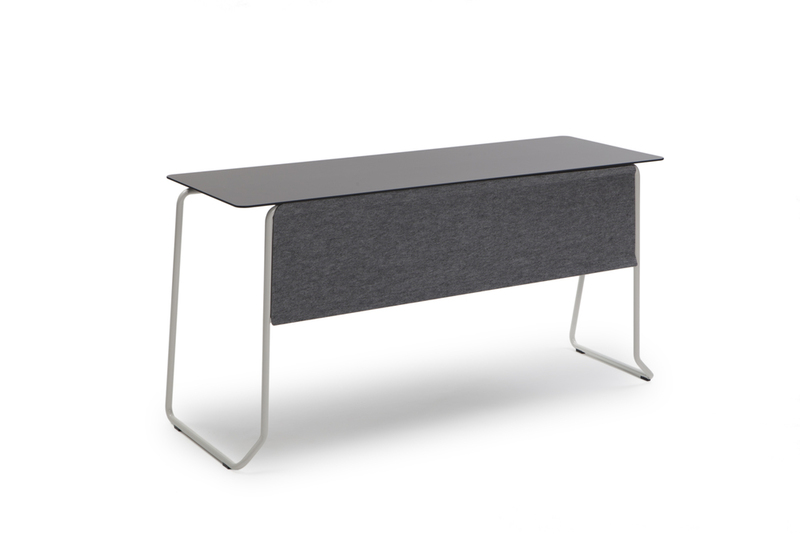 Combine mini table with Caesar armchair to make a functional yet relaxed & stylish working station. Inari armchairs cushion-like armrests, seat and back can be highlighted with different colour combinations. Hanabi is the Japanese word for ‘fireworks’. 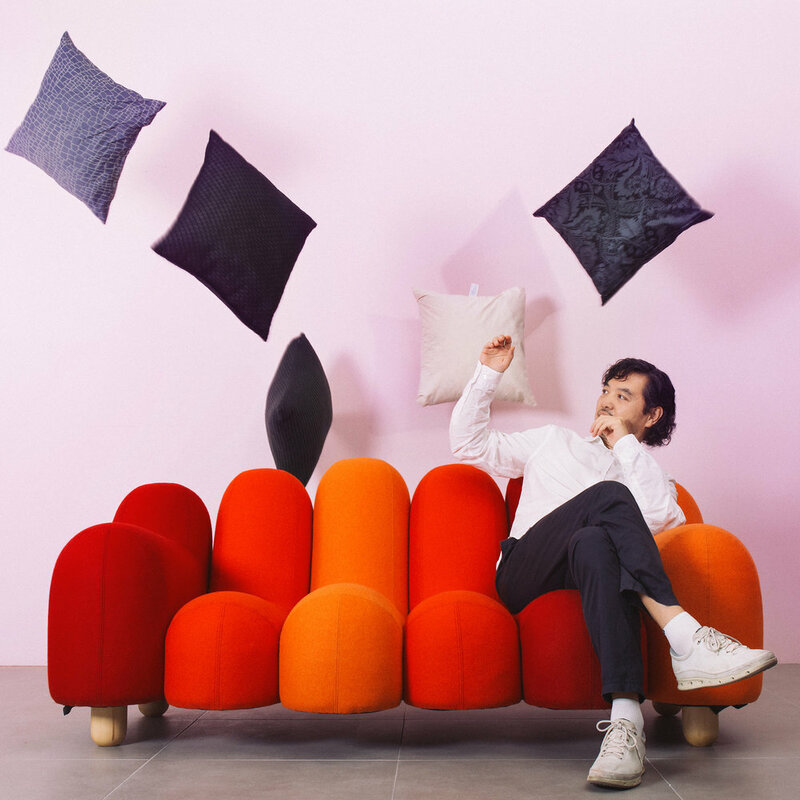 Comfortable Hanabi sofa moulds to the sitter’s shape. Various pattern and colour mixing possibilities with upholstery textiles. 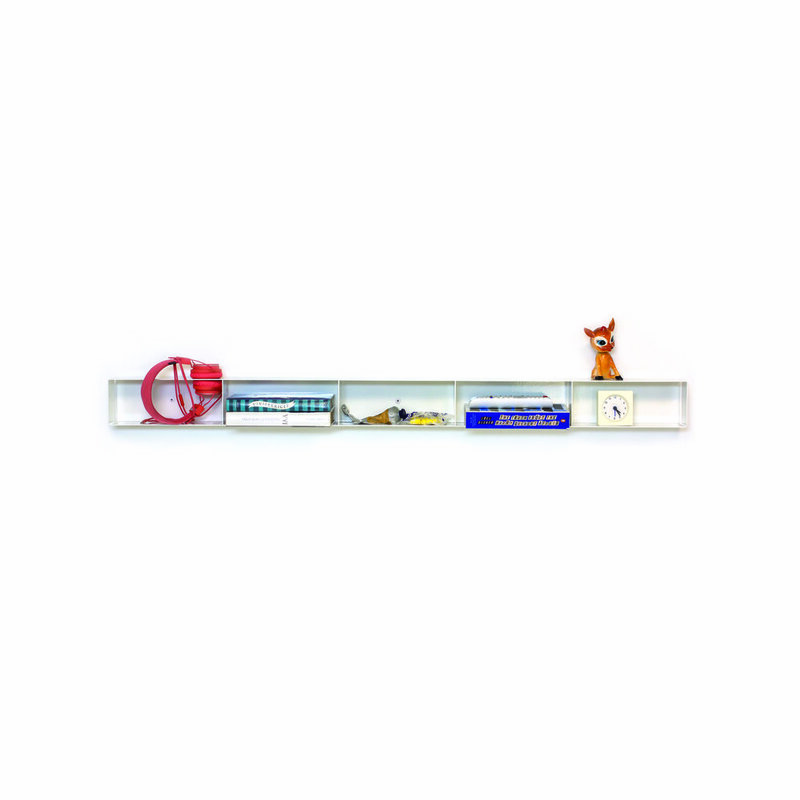 Luft is an aesthetically minimal and function-wise versatile shelf system. Hence its tiny & surprising dimensions it fits to the narrowest of walls. Perfect for both vertical and horisontal combinations. 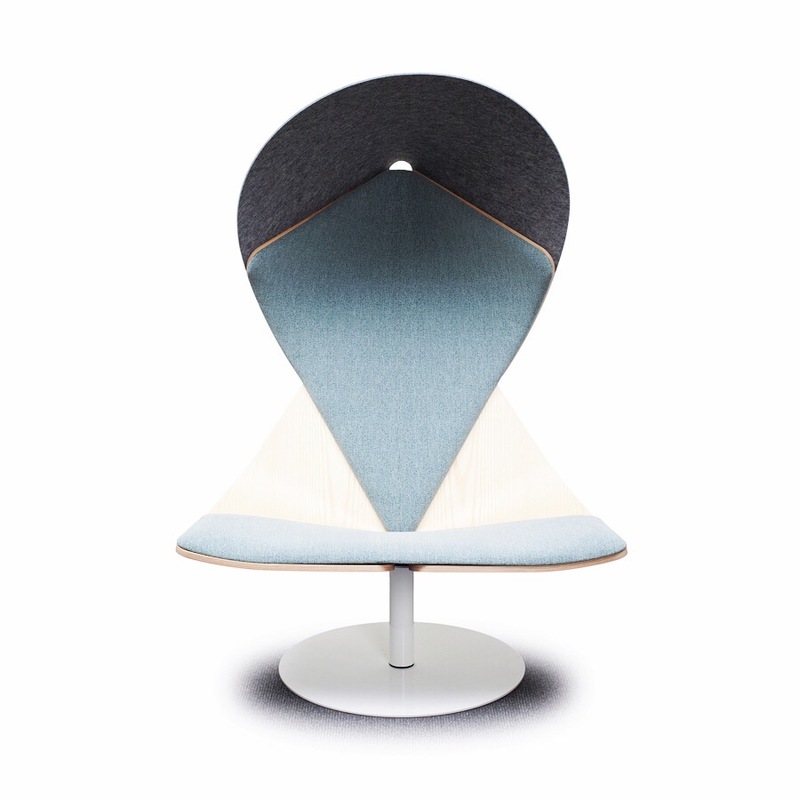 Maja lamp mixes joyful, straightforward, uncomplicated aesthetics and introduces new ways of living with furniture. It combines quality materials with technology and ecology by its natural air cleaning system, pleasant light and acoustic qualities. 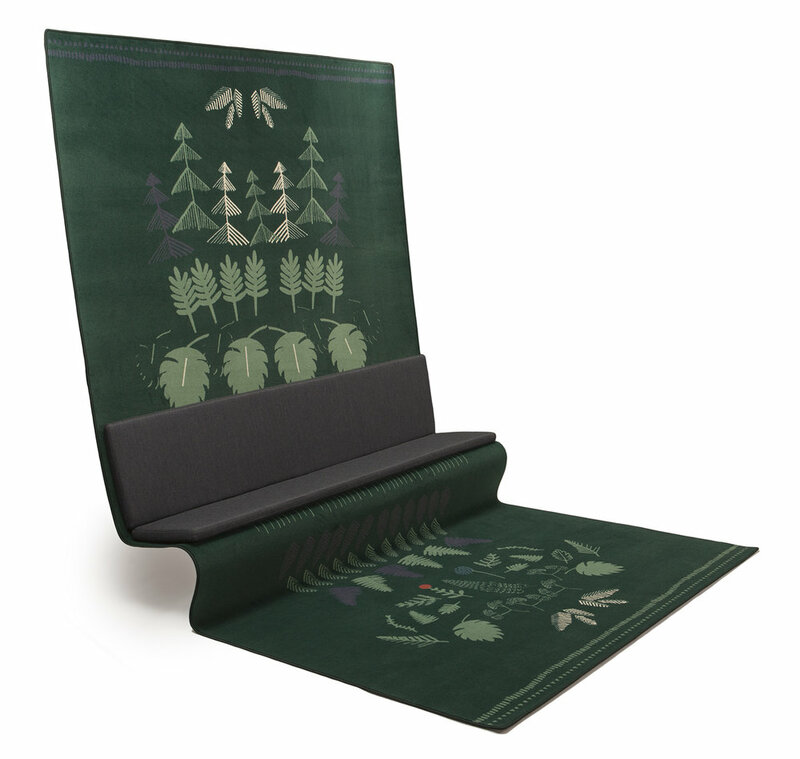 Ranta is a reversible paper yarn and cotton rug available in many size and colour options. Colours are inverted on the reverse.